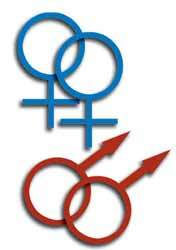 Many gay men and lesbians claim that the Christian faith is the guiding rule of their lives. Some of them hold that their sexual orientation is given by God, that it is good, and that there is nothing wrong or sinful with their homosexual activities. These persons say that the Bible and Church Tradition do not condemn homosexual behaviour, but have been misinterpreted and misused, sometimes unknowingly and other times quite willfully, by prejudiced and hostile people who hate homosexuals. Those who believe in this way obviously want others to agree with them, and many are now working hard to have their views accepted, particularly by fellow Christians and Church leaders. Other homosexual Christians hold that their sexual orientation is not from God – except providentially, since the Lord’s plan inevitably involves human freedom and sin but derives from human fault. While some of these people are not willing or able to identify the specific reasons for their sexual feelings, though still affirming that they are not good and are not to be indulged; others with the help of what they believe to be sound biblical interpretation and accurate psychological analysis, identify the source of their sexual orientation in faults and failures in their family experiences, particularly in early childhood, and perhaps even before that, which contribute to their sexual makeup. These people hold that they are called by God to struggle against their homosexual tendencies as all people are called to struggle against the sinful passions which they find within themselves, while they work to heal the causes of their disorientation and disease. Those who hold this position look to their fellow Christians, especially their Church leaders, for support and assistance in their spiritual struggle. Given the traditional Orthodox understanding of the Old and New Testament scriptures as expressed in the Church’s liturgical worship, sacramental rites, canonical regulations and lives and teachings of the saints, it is clear that the Orthodox Church identifies solidly with those Christians, homosexual and heterosexual, who consider homosexual orientation as a disorder and disease, and who therefore consider homosexual actions as sinful and destructive. Previous Post The Priests Son!